We're here with another double Penguin of The Week. I'm glad to give this award to the users Patton and Wing, congratulations! 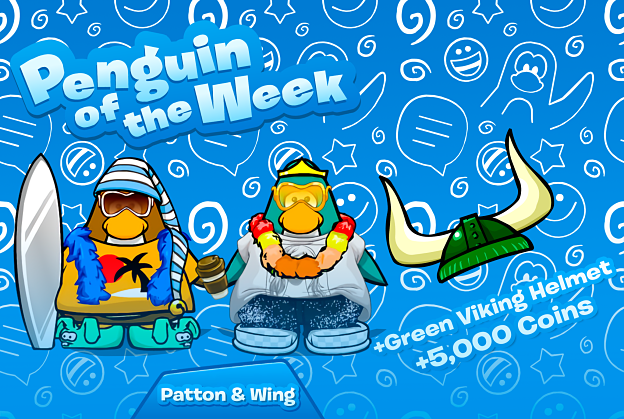 Patton and Wing are both active members of the Club Penguin Online community. They're very friendly to everyone and always liven up the Club Penguin Online Discord. If you're new to Club Penguin Online and looking for a friend or role model then you would notice these two as good candidates, congratulations to them both!